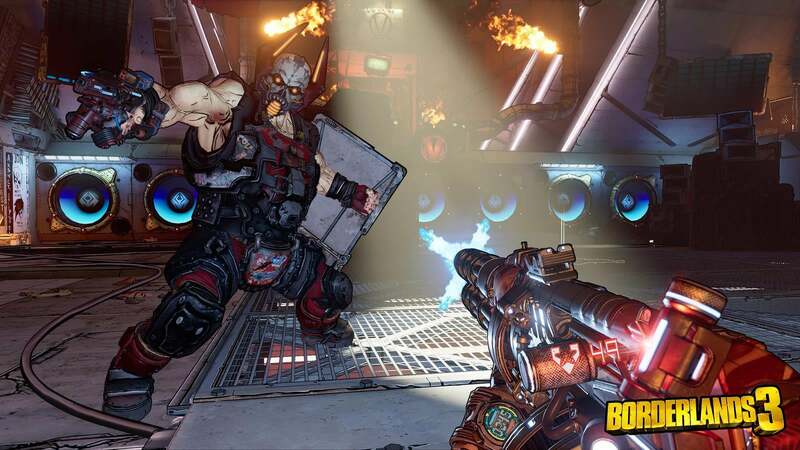 Amongst the deluge of Borderlands news to emerge from PAX East was the official reveal of Borderlands 3. The trailer showed four new characters, two new antagonists, and familiar faces amongst a new world and a suitable amount of chaos. 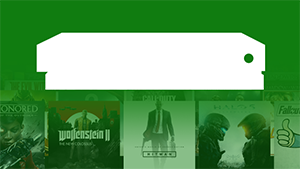 We now have details on all these characters, the world, the guns, and some of the more prominent gameplay mechanics, including the choice not to share loot with your friends and improvements to co-op. When it comes to loot shooters, players are always looking for the best weapon or equipment, and having to share that loot amongst your friends always leads to tough decisions. Do you steal everything and hope your friends don't notice, or do you spend ages arguing over who gets the next weapon? 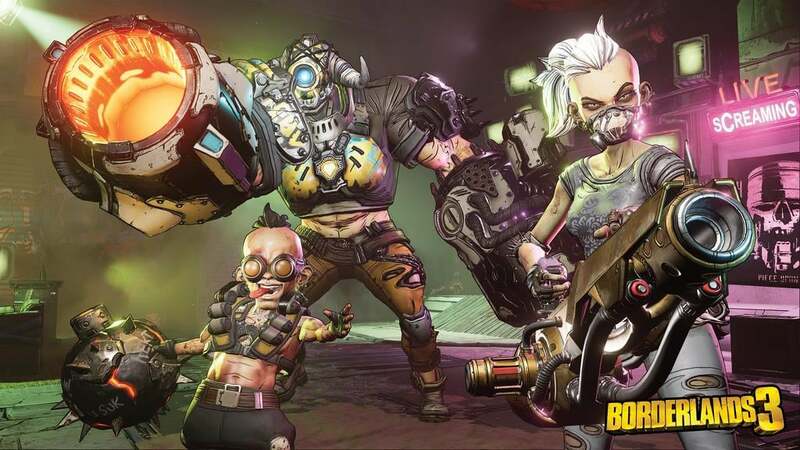 Well, in Borderlands 3 those issues won't happen any longer — each person will have their own individual loot stream. 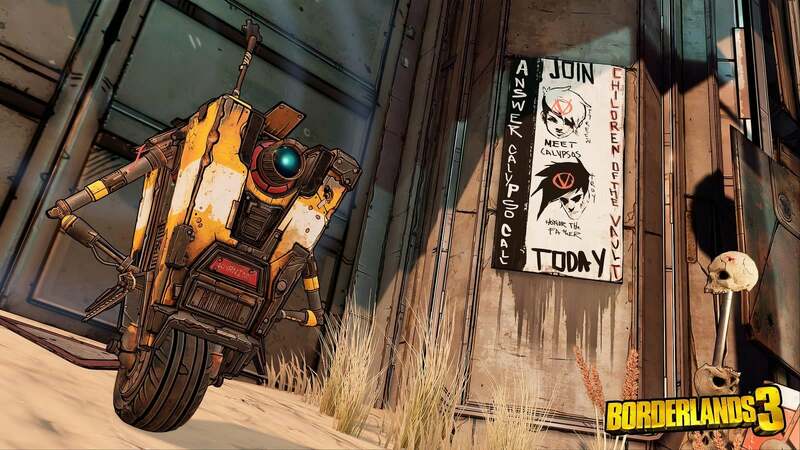 Of course, if you prefer the old-style Borderlands style of play, you can opt to play with classic Borderlands 2 co-op rules and share loot instead. The game will include "bazillions" of guns and gadgets from all of the familiar weapons manufacturers. You can get tracking bullets and Smart Bullets from Atlas. Maliwan offers all types of elemental damage and weapons that can switch between two elements. DAHL has weapons that have a variety of firing types and alternate fire modes. 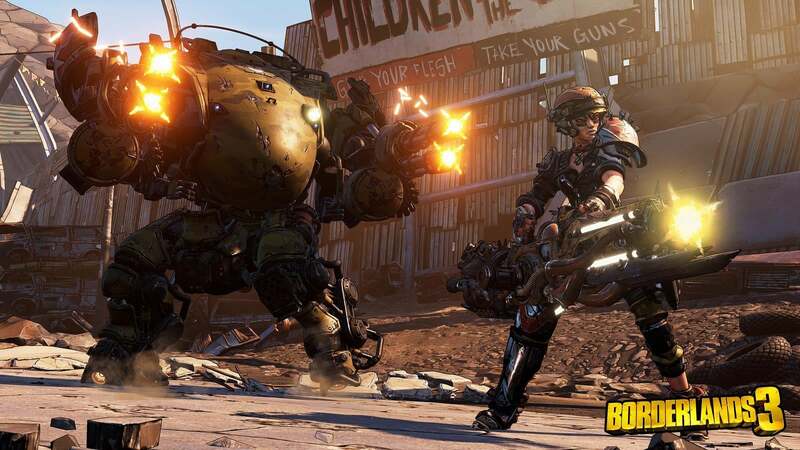 Then there's the crazy stuff, like guns with self-propelling bullet shields, guns that spawn mini-volcanoes, and even guns that grow legs and chase enemies while insulting them. You'll be taking down enemies as one of four new Vault Hunters. There's soldier Moze, who can be accompanied by a giant mech known as Iron Bear. The Siren is Amara who comes with ethereal fists that pack a powerful punch, and then there's hitman Zane who causes chaos a variety of gadgets like his Digi-clone. Finally, there's nomad robot FL4K who has a range of "helpful pets". Each of these has their own skill trees, abilities, playstyles, and "tons" of personalisation options. Together the Vault Hunters need to stop the Calypso Twins from claiming the galaxy's ultimate power that will destroy everything. They plan to do this by uniting the many bandit clans that roam the world of Pandora and others beyond that. There will be multiple planets and side destinations to explore, each of which will have unique enemies and environments such as deserts, ruined cityscapes, and bayous. As we revealed two days ago, Vault Hunters can take on the world on their own, in two-player local-co-op, or in online co-op for up to four players. Players will be able to join forces regardless of level or mission progress and do meaningful damage, so there's no need to protect team mates who are many levels below you. 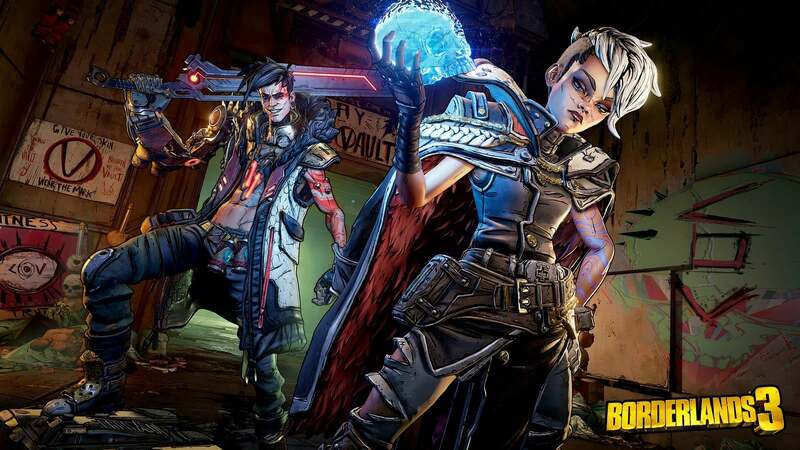 Borderlands 3 with all of its loot, weapons, and general craziness will fall into players' hands when it's released on September 13th. 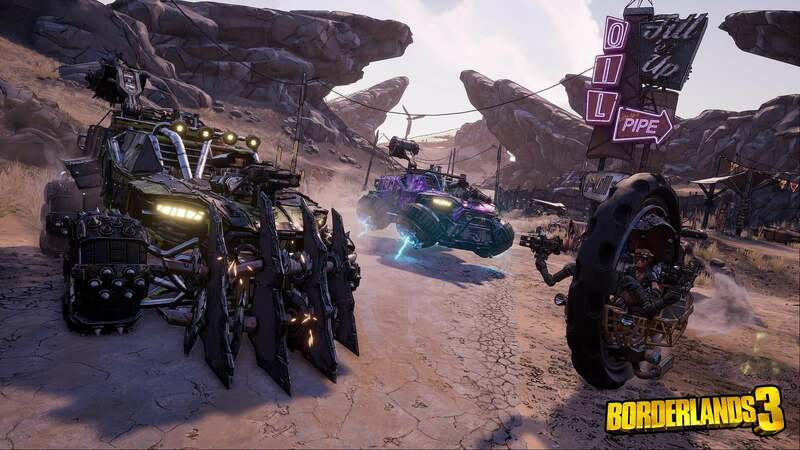 We don't have them yet, but we'll publish a story as soon as we pick up the Borderlands 3 achievements.